The Team @ CatsOnly, Old Conna Avenue, Bray, Co. Wicklow. 01 2821909. Nicola came back to Ireland after working in Canada and Australia for 15 years and started up the Dublin Animal Emergency Centre so that pets could have 24 hour care. She has a special understanding of cats and studied Cat Medicine in Australia. She has set up a section especially for cats at BrayVet with a separate waiting room, a cats-only consultation room and a dedicated hospital ward for sick cats. 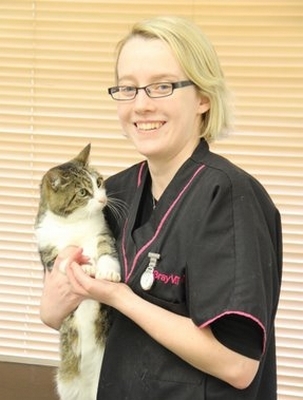 Nicola is the primary vet at CatsOnly.ie. 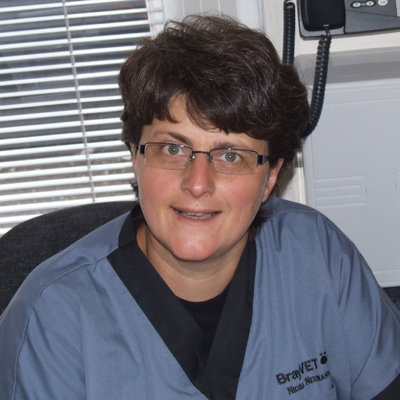 She is assisted by the BrayVet team of vets: Pete Wedderburn, Andrew Byrne and Ciara McMahon. Andrea has a passion for cats and even the most difficult cat trusts her. She looks after the Pet Insurance claims. Registered Veterinary Nurse Tania Lalor.